I was in middle school when I became interested in ancient Egypt and the many stories that have come out of the civilization. It started as a simple history lesson that grew into a fascination and an insatiable curiosity. The symbol of ancient Egypt, in my opinion, is King Tut. He was 9 years old when he assumed the throne. Imagine Landen being crowned king! His tomb was discovered intact, without the modern technological advances of sonar or drones, on November 4, 1922. Imagine being the first to lay eyes on such treasures for the first time in thousands of years. Howard Carter had that experience, and what's incredible, though he can claim one of the greatest archaeological discoveries in history - he had no formal training as such. 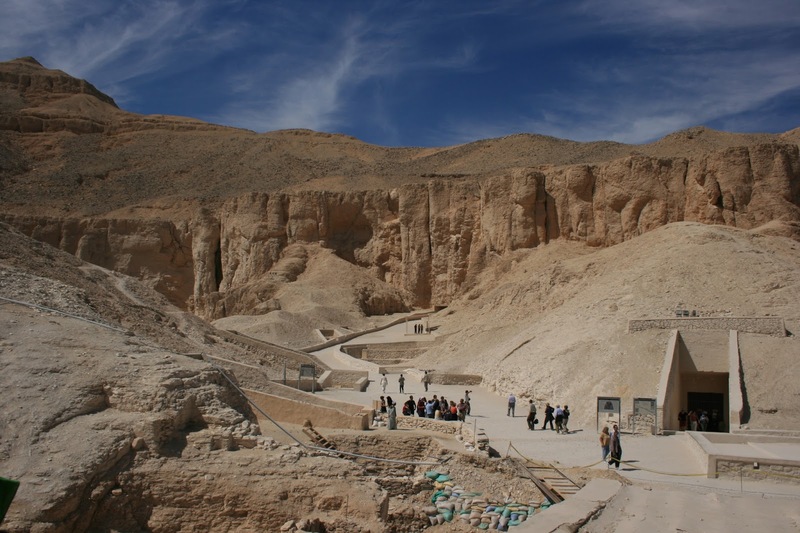 To this day, I would love to travel to Egypt … to Cairo … to Luxor … to the Valley of the Kings. I would love to travel by boat on the Nile River. I would love to walk in the footsteps of this history, but even more so, I would absolutely love to visit King Tut's tomb. He is the only king who was left to rest where he was buried, instead of on display in a museum. Even now, when a documentary airs covering new discoveries pertaining to ancient Egypt, I make time to watch it. Most recently, Travel Channel aired a Mysteries at The Museum that analyzed the emerging research and theories pertaining to this civilization. It seems to have reignited that fascination I’ve had since I was a preteen. Currently, they're questioning the potential that there exists another tomb behind King Tut's burial chamber. They suspect Queen Nefertiti may be buried there, but are extremely hesitant to explore further because it means destroying priceless art. To this day, no one knows for sure where she is buried but we do know she is related to King Tut. In fact, they are also researching the possibility that since King Tut died so young and so unexpectedly, his funerary goods were not originally meant for him. One theory is that King Tut's funerary mask was originally meant for a woman, since you can see discs in the ears to fill in holes. Only women in Ancient Egypt would have pierced ears. Another detail that is argued, pertains to the face on the funerary mask. 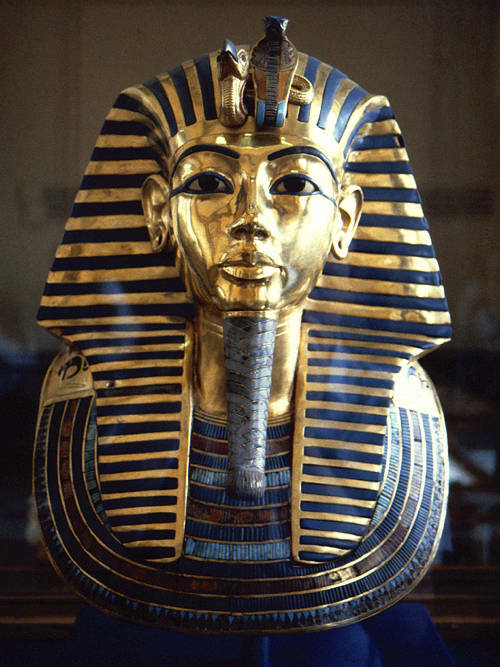 There is a seam visible, and it is theorized that King Tut's face replaced the original recipient's. There are also smaller statues reportedly of King Tut that were found in his tomb, but they seemingly portray the silhouette of a woman. These clues, of course, are three of many that are being studied as scholars try to uncover the meaning behind this ancient civilization's stories. So much of what I thought I knew of Ancient Egypt has changed. I suppose that is what happens to history as time evolves and further discoveries are made. But it's a story I want to continue to listen to.